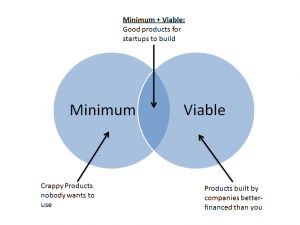 Francis Moran & Associates > Marketing strategy > Do I need a minimum viable product? This is the first contribution to this blog by Associate Peter Hanschke, an Ottawa-based product management specialist. For the MVP, my current feeling is to stick to #1, features and functions, and not worry too much about including time/cost to design a fancy user interface. Also, I am tempted to include the features that build the foundation for monetization, but it’s costly to do and isn’t critical to demonstrating the true purpose of the product. I’m planning to solicit feedback from some users with the MVP, and potentially start the patent application process. Then I was thinking of investing in steps #2 and #3 in order to approach investors. Am I on the right track with this process? Thanks for reading my post and sending along your questions. I would say that you are mostly on the right track. You need to make sure that your focus on features and functions is targeted at ensuring that your primary usage scenarios – from the user’s perspective – are working. Your users will be able to provide you with more constructive feedback then if they were trying disparate features and functions. Secondly, the UI is the first thing your users see so you need to invest in a good UI. I’m not suggesting a perfect UI, but something that looks good and provides an awesome user experience. There is so much competition for people to use apps and a good UI will put your app in a good position. And lastly, I would not include anything in your app regarding monetization. 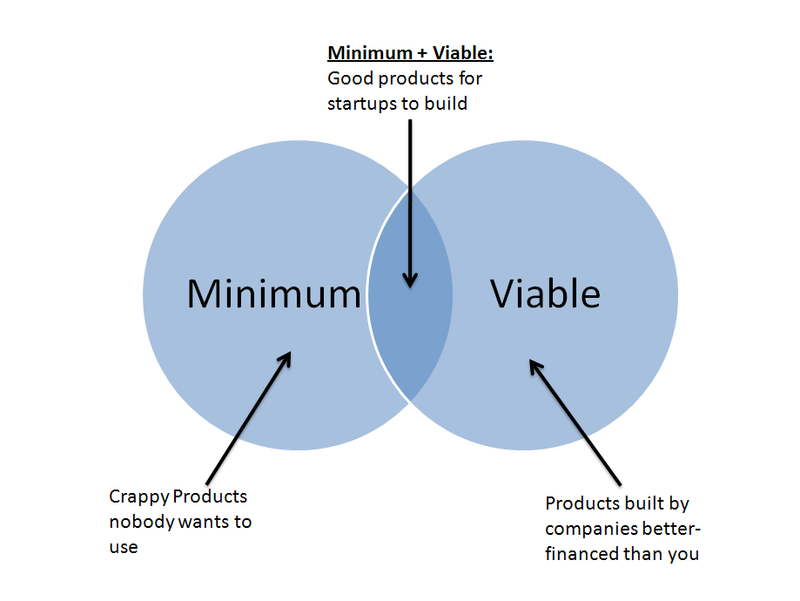 At this stage you should have an idea what your monetization strategy will be, which you can socialize with your MVP users. Once you have a clear picture, then you can implement your monetization strategy.